Just as I was leaving the wine aisle, this bottle for $7.99 caught my eye. In passing I mistook this for an Italian wine, so the irony of seeing Napa Valley listed on the label through me for a loop. I was already buying five bottles, all of which were priced more than this one, so why not make it a 6-pack? And I’m pretty happy that I did. 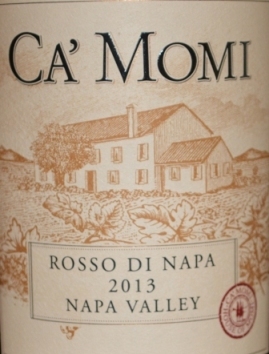 This is an interesting little Napa red blend with a taste that is unheard of at this price. There is actually decent flavor here: dark fruit, cherry, chocolate, espresso. The body is light and rather deceiving at first. The wine finishes up pretty quickly, but all in all this is not a bad package for $8. It would be great with a range of food or fine on its own.